also known as 30 Doradus, is a large region of ionized HII gas surrounding a collection of newly-forming stars at the eastern end of the stellar bar in our neighbor, the Large Magellanic Cloud (LMC). 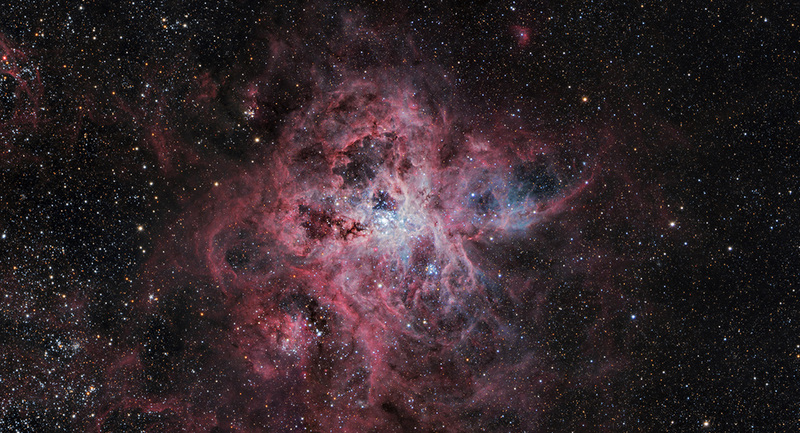 The very bright Tarantula is 160,000 light-years from Earth. This 3-panel mosaic was acquired in 2011 by SSRO. Follow the link below to my flickr photostream, where several versions are posted.